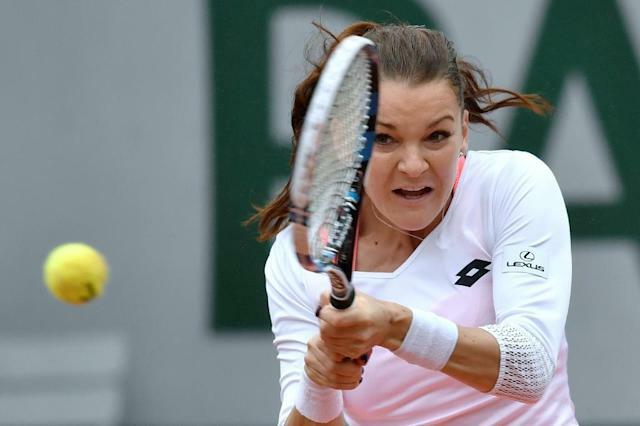 "I'm just so surprised and angry, that, you know, we have to play in the rain," fumed Radwanska. "I mean, it's not a 10,000 tournament. It's a Grand Slam. How can you allow players to play in the rain? I cannot play in those conditions. "I don't know who allows us to play in those kind of conditions. I mean, I don't think they really care what we think. I think they care about other things, I guess. So, well, I'm just pissed. I just cannot play in those conditions. I mean, I'm not healthy enough. "We shouldn't play in that kind of rain. Why? We still have couple of days of tournament. What's the point?" "It was very difficult with all the rain, we waited almost three days to finish the match. But I can't complain, it turned out great for me," said Pironkova. "Heavy, wet conditions like this don't typically help me too much, but I think today I was able to use them better to my tennis than (Simona) was and I was able to put her under more pressure," said Stosur. "I felt like each time we went back out on court I was ready and I was focused and knew exactly what I wanted to do." 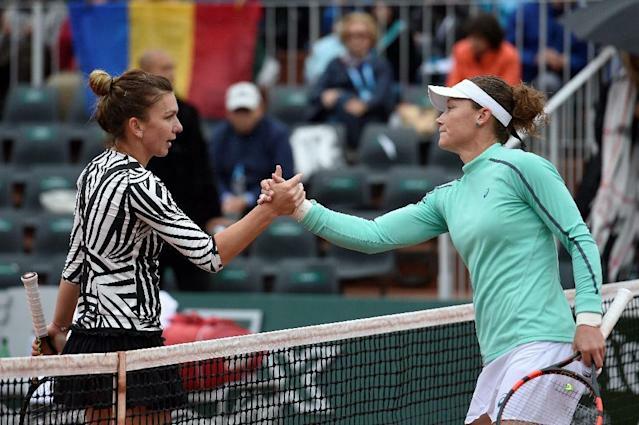 Halep, like Radwanska, was critical of tournament organisers, but praised Stosur for handling the "impossible" conditions better. "It was impossible to play, in my opinion. And to play tennis matches during the rain I think it's a bit too much," said Halep. "But everyone was in the same situation, and who was stronger won today. "No one cares about the players in my opinion. I don't care that I lost the match today, but I was close to getting injured with my back, so that's -- that's a big problem. But like I said, no one cares. We have just to go and play. "I was frustrated about waiting three days and about playing in the rain. That was the biggest problem for me. I didn't feel sure on court, safe on court." "When I went to ask to play on Court 1 -- doesn't matter which court, just to play, because we know that it's going to rain and it's going to be late, but they took the decisions to put doubles and then us. Here we were."